This year for Christmas with Steve’s family, we drew names of individuals (children, even unborn children, included) for Christmas gifts. For some reason someone then had the bright idea of adding the further restriction that gifts had to be homemade/handmade. Steve and I were in charge of three gifts: Steve drew his aunt, I drew Steve’s nephew, and “the baby” drew his future uncle. We ended up doing quite a bit of teamwork on all the presents. Steve’s nephew is seven years old. 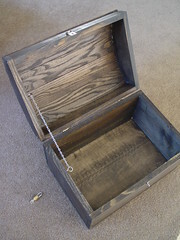 I forget whether Steve or I had the idea first, but we came up with building a wooden treasure chest. I looked online and found some cool kits, but shipping was prohibitive, so we decided to build our own! 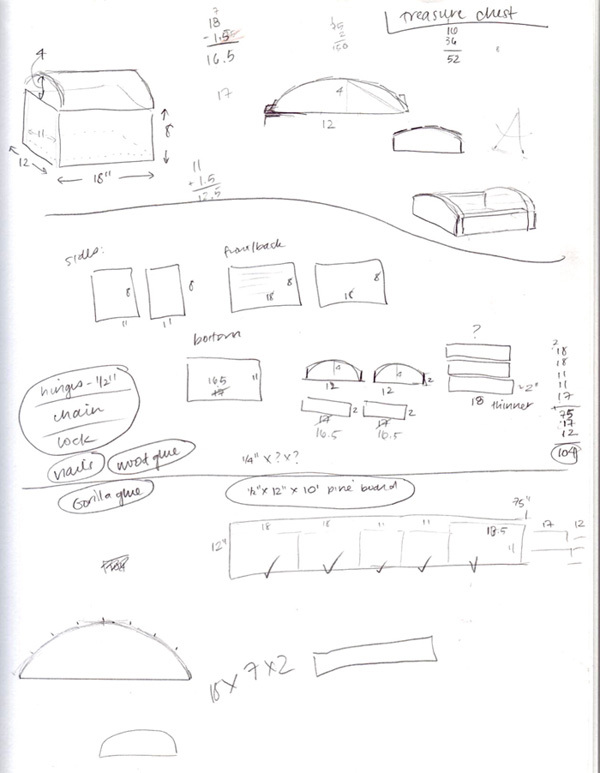 I sketched out a rough plan with dimensions and we went shopping for wood and materials. Our good friends who live a few doors down have all kinds of tools including a table saw, jigsaw, etc., so we went over and spent two weekends cutting the wood, putting it together with wood screws (main frame) and nails (top slats), staining it, and adding hinges, a chain on the inside to keep the lid from opening too far, and a latch and small padlock. We read some stuff on making real wood joins but it seemed too complicated for the short timeframe we were working with (plus the fact that neither of us had any experience making wood joins! ), and let’s face it, we didn’t think a seven-year-old would care! 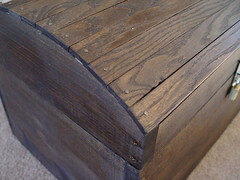 Steve and I pretty much worked equally on the chest together even though it was technically “my” project. Next, we attempted to make wooden pens for Steve’s aunt and brother-in-law. My sister’s husband has a lathe and other tools necessary for making wooden pens in addition to a lot of the wooden blocks (called “blanks”), so I went online and bought two pen kits — the metal pieces that make up the rest of the pen. We then spent three weekends driving out to their house to use his tools. Unfortunately, I had apparently picked a style of pen kit that was complicated to work with, and my brother in law didn’t have any experience with that type and couldn’t help us. After using up about 5 different blanks and being generally unsuccessful, we got frustrated with the whole thing and decided to think of alternative homemade presents to give! Here’s the final result. It’s interesting how cameras differ from the human eye — the ribbon shows up much more “orangey” in this picture; in person, it looks like the same shade as the red dresses in the main photo. Two down, one more to go. I was having some problems coming up with presents for the baby to give our brother-in-law. Thinking about our former success with wood, I thought about making a mancala game with a wooden board that could fold in half and latch to be “travel-friendly” and even bought some materials, but returned them all as I didn’t think it was that great of an idea and might just end up collecting dust in the long run! As the day drew near, I finally decided to do a two-part present. I ordered a photo calendar through Costco, uploading family pictures and adding family birthdays and anniversaries. Then, I spent the weekend before Christmas making homemade chocolate-covered gummy bears, his favorite sweet snack. 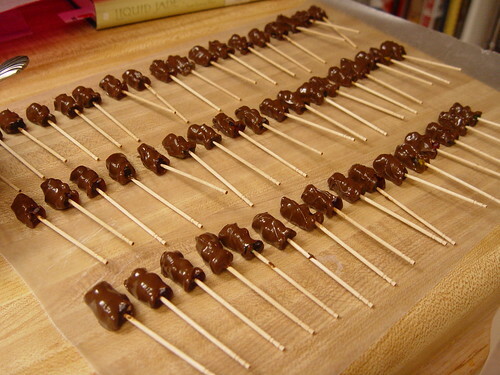 It was a little time-consuming but pretty easy to do — we slowly melted chocolate chips in the microwave, stabbed gummy bears with toothpicks, and swirled them around in the chocolate. I put them in a large Coke glass, found at a thrift store — our brother-in-law has some Coke paraphernalia that he’s collected over the years — and wrapped it all up with holiday-colored plastic wrap. While it was at times stressful and frustrating, we found that making presents for a few individuals was overall a very rewarding experience for both the giver and the receiver! Corrie – this is wonderful! 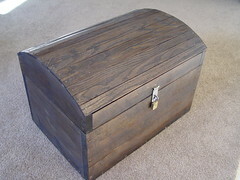 I made most of my Christmas presents this year too. I crocheted 2 sets of hats, mittens and gloves; 6 pairs of house slippers, and tiled 1 tea tray with mosaics. Have you tried making polymer clay pens? Those are all such wonderful gifts! I take great joy in handing someone a gift I know they’ll like (or at least hope STRONGLY) and that I made… I find those gifts are the remembered ones.. 🙂 though there was disappointment echoed as no family member received hand knits this year.. I made most of my gifts this year too, and enjoyed it very much. I used to make gifts all the time when I was growing up, and this year I recaptured some of that fun and creativity. I was way more excited for folks to unwrap the gifts I made than the ones I just bought. Jyll – Nope, I don’t have any experience with polymer clay pens. Sounds interesting, though! Penny and Doodah – Thanks for sharing! 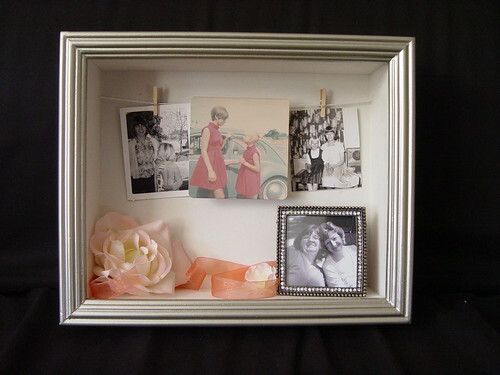 Do you have instructions on how you made the shadowbox? Would love to make one for my apartment I’m moving into next month. Thank you!